Make money with a side gig and learn how long it will take to see the extra income, whether it’s freelancing online, driving passengers or selling stuff you no longer need. You need extra money, but you’re not sure where to start (or what’s legit). Don’t worry, we’ve got you covered. NerdWallet rounded up 26 legitimate ways to earn some extra income — at home or out and about — including freelancing through Upwork, picking up odd jobs on TaskRabbit and delivering meals for Amazon. We listed each option based on how fast you can get started and get paid. While most people prefer fast cash, don’t discount the “slow” gigs, as they may pay more in the long run. Fast — If it takes two weeks or less. Medium — For gigs that take closer to a month. Slow — Anything that would likely take more than a month. You can sell used clothing and accessories several ways, but they’re all pretty quick to start. Fast: A brick-and-mortar consignment store like Plato’s Closet will give you cash on the spot. 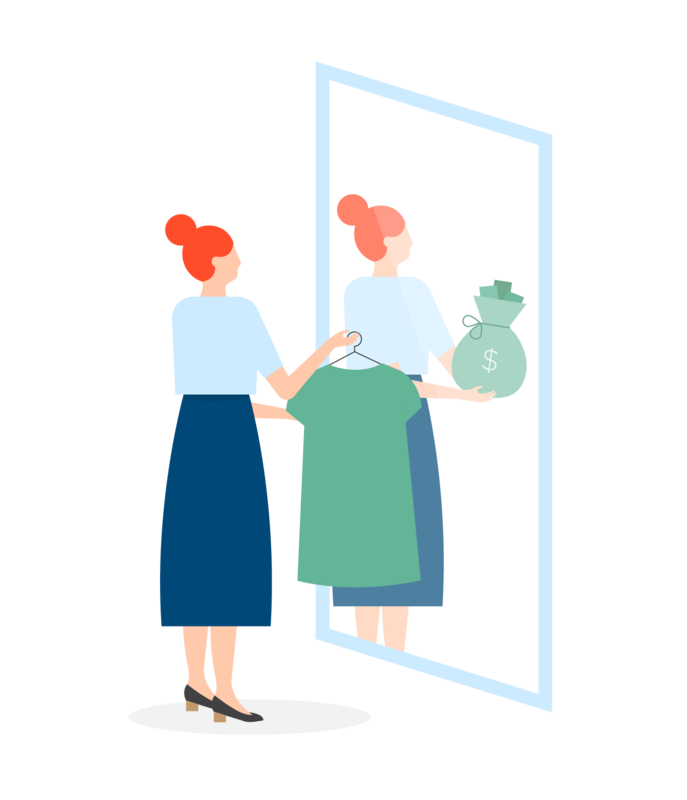 Medium: Other in-person and online consignment shops pay you when your items sell, or when they receive and inspect your items. Either way, allow at least a month for your payout. Gently worn shoes, clothing and accessories. You’ll still get the rewards your current card offers, plus an added 2-10% cash back at participating stores. Have an old phone, iPad or gaming system lying around? Sell it on a site like Swappa and NextWorth. Check out Amazon’s trade-in program, which pays participants in Amazon gift cards — and eBay, too. If you’re in a rush for cash, try an ecoATM. Learn more about selling used phones. Selling directly (Swappa, LetGo, Craigslist): In most cases, you take photos of the phone, verify the electronic serial number (ESN) is clean and post your listing. Some sites review and approve postings, but the time is minimal. Selling to reseller (NextWorth, Gazelle): Answer a few questions online for an instant quote. Selling directly: When you get paid depends on how quickly your phone or device sells. Once the item sells, payment is fast. Selling to reseller: First, you need to ship your phone to the reseller, who will then inspect it before payment is sent via check or PayPal. Devices are typically inspected within five business days. With Gazelle, you can take it to a kiosk for immediate payment. A used phone, laptop, gaming system, etc. Cell phones: You need to verify the phone is not stolen or under a repayment plan. Parking spots can be a hot commodity, particularly in crowded areas. If you have a driveway or dedicated spot that you don’t use, rent it out on Craigslist or another service. Just make sure leasing your space is allowed if you’re a renter or belong to a homeowners association. Simply list your space on a site like Craigslist. Check the terms of your rental agreement or condo/homeowners association to ensure you can rent out your parking space. 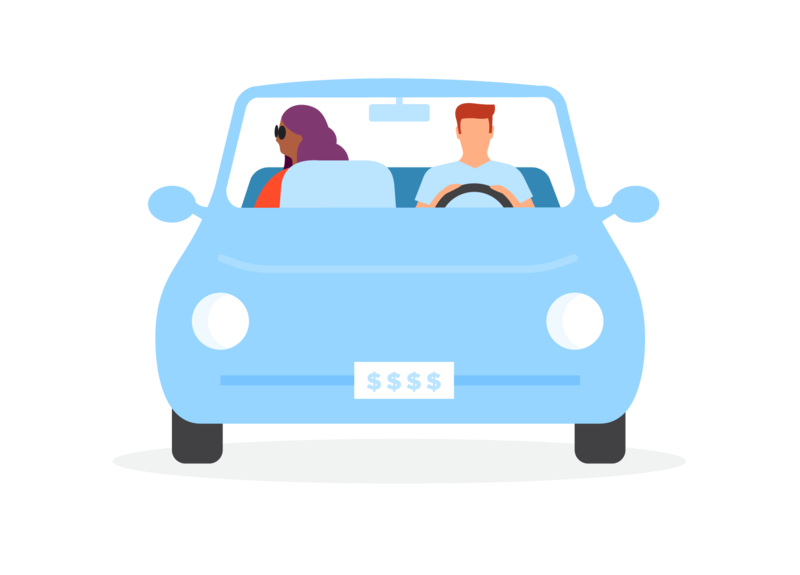 Join Uber or Lyft (or both) and earn money by driving passengers around. Just don’t forget to factor in gas and maintenance costs. You need a clean driving record and a newish car in good condition. Learn more about what it takes to drive for Uber and Lyft. Allow about a week for the application process, background check and car inspection. Earnings are typically paid out every Thursday, but there are options to get paid the same day. A car with four doors. It must also meet other requirements, such as year, physical condition, etc. You may need to change your car insurance to include ride sharing. The background check can take up to five days. Amazon Flex pays twice a week. UberEats pays out weekly or daily, depending on the option you select. You’ll need a way to deliver items, but it could be a car, scooter or bike, depending on service. A smartphone is necessary to accept and process jobs. Each delivery service has a minimum age requirement, but it varies by service. It can take up to five days for your Rover profile to be reviewed and approved. The application process for Wag! can take up to two weeks, and you must pass a test and complete an orientation class. Rover: You receive payment in your account two days after completing a stay. Payments received via PayPal are released within one to four days. Payments via check can take up to five business days to process, up to 20 days to arrive and incur a $2 fee. Wag! walkers get paid weekly via a service called Payable, which is similar to PayPal. For Rover or Wag!, you’ll need to live in an area where the service operates. If you want to pet-sit, you’ll need an apartment or house that allows pets. You’ll have to pass a background check. You can create a profile on Care.com in a matter of minutes. You typically get paid when you complete your gig. You usually need to be at least 18 to list as a caregiver on sites like Care.com. If you’re willing to watch someone’s home — and maybe feed the pets, water the plants and take out the garbage — become a housesitter. Tap your personal network for referrals or try out HouseSitter.com, which connects homeowners with housesitters. People often make $25 to $45 a day, according to the company’s website. You can create a profile on HouseSitter.com in a matter of minutes, though it may take time to secure your first housesitting gig. You typically get paid by the homeowner when you complete your gig. Most sites have an age requirement. Upwork will approve your profile within 24 hours. But keep in mind it can take time to land your first freelance gig. Payment varies by site. On Upwork, you’re paid after you and the client review the work, 10 days after the billing period ends. On Fiverr, you’re paid when the work order is complete, but you can’t withdraw funds for another 14 days. Upwork requires users to be at least 18. Fiverr sets the age requirement at 13. And Freelancer requires users be at least 16. Some sites require you be a U.S. citizen or permanent resident. Sites such as UserTesting.com will pay you for your thoughts on how well — or not so well — certain websites and apps worked. You’ll have to pass a short test to be accepted, then you’ll be paid $10 for each 20-minute test, which involves a recording and answering four follow-up written questions. You typically need to complete a sample test as part of the application process. You will start receiving testing opportunities after your application is approved. The timeline for approval can vary. You get paid seven days after completing a website or app test. Payment is issued via PayPal. You need to be at least 18. You need a computer, internet connection and microphone. Mobile app testers also need an iPhone, iPad, Android phone or Android tablet. Amazon will send you a registration invitation within a few days of applying, if you’re approved. From there, Amazon will verify your identity, which can take up to 24 hours. You also need to establish an Amazon Payment account to get paid for your work. This only takes a few minutes. Once paid, you can transfer earnings to your bank account, which can take a few days. Payment for new workers is held for 10 days before it is released to their Mechanical Turk earnings account. You must be at least 18 to register for Mechanical Turk. You also need an Amazon account to register for Mechanical Turk. Unload your unused gift cards using a site like Cardpool or Giftcard Zen. You can sell cards for a percentage of the balance or trade them in for a card you’ll use. Cardpool also has kiosks and cashier-assisted locations so you can get cash on the spot. Read more about what to do with unwanted gift cards. You can get an instant offer or quote via sites like Cardpool and Gift Card Granny. You can sell gift cards at kiosks and participating retail locations to get cash the same day, or try to sell it online. The latter takes longer, but you may get a better offer for your gift card. Airbnb hosts earn an average of $924 per month, according to data from Earnest, an online lender. You can create a listing and start accepting reservations in the same day. Payment is disbursed once the rental starts (VRBO, Airbnb), but total time to payment will depend on payout method. PayPal is the fastest option, when available; payment appears within one business day. Comply with any rules governing short-term or vacation rentals in your property, including city ordinances and rules issued by your landlord, condo board or homeowners association. You can create a listing on Turo or Getaround in under 30 minutes. Turo sends payment within 30 minutes of the end of the rental. Payment is issued via direct deposit and can take up to three business days to appear in your account. For rentals longer than one week, Turo issues partial payments every seven days. Getaround rental earnings accrue monthly and are paid out by the 15th of the following month. You must own your car and it must meet certain requirements (make/model/year/mileage). You must have a current, valid driver’s license. You must be at least 19, though the age requirement for Turo is 21. You can register with a site and start taking surveys in a matter of minutes. The time it takes to get paid depends on the survey site and how much time you dedicate to taking surveys. Some sites only let you cash out after you hit a minimum earnings threshold. With InboxDollars, for example, the threshold is $30. Other survey sites issue points, which can be redeemed for cash (via PayPal) or gift cards. Most survey sites have a minimum age requirement, which ranges from 13 to 18, depending on the site. Individual surveys may have specific requirements. Don’t be surprised if you are disqualified from a survey without much explanation. You can set up your profile and register in a matter of hours, but can’t start accepting tasks until your profile is approved by TaskRabbit. Allow a few weeks to get approved. The company processes registration on a rolling basis to avoid over saturation in a given market. How quickly your application is approved will depend on demand in your area. Once approved, you need to pay a $20 fee and attend an orientation. You’re paid after the task is completed. Payment typically takes a few days to appear in your account. You need to be at least 21 to start working with TaskRabbit. Prospective Taskers must also pass a background check. Moving, cleaning, delivery and being a handyman have the ‘highest earning potential,’ according to TaskRabbit. You can set up a profile with sites like SmugMug, PhotoShelter or Fine Art America in a few hours, assuming you have a body of original work. Payment varies widely depending on the site. Fine Art America: Payment issued after 30-day return window expires. Sent on 15th of each month. PhotoShelter: Payment issued at time of sale to your chosen payment method (PayPal, Stripe, etc.). SmugMug: You can request payment be issued the following month if you have a balance of at least $5. Requirements vary by site, but you need to have all necessary rights to the images you sell. Startup time depends on demand in your area. It could take awhile before you get your first student. If you haven’t tutored before, you’ll want to allow for time to prep so students feel like they’re getting the most out of their time with you. You’ll need deep knowledge in an area that people need help understanding, like mathematics, a foreign language or test prep. If you’re a blogger who gets decent traffic, you could make money by joining an affiliate network. Affiliates (that’s you) get paid when someone clicks through from the website to the partner site and buys something there. Some bloggers make a lot of money this way. Read more about affiliate marketing and other ways bloggers can make money. First, you need a blog, social media account or other online presence that draws a healthy number of visitors each month. Then, you need to apply for and be approved by an affiliate marketing network like CJ Affiliates, ShareASale, FlexOffers or Amazon Associates. Payment schedules and thresholds vary by affiliate network, but expect to wait at least a month or two for your first paycheck. Amazon Associates pays out earnings 60 days after the end of the calendar month in which they were earned. You must have a balance of at least $10 for earnings to be disbursed. ShareASale disburses earnings on the 20th of each month, if you earned $50 or more the previous month. A blog, social media account or other online presence that attracts a steady stream of visitors. Have a penchant for woodworking, jewelry-making, embroidery or pottery? Sell your goods on Etsy, the go-to site for artisans selling home goods, art and knickknacks. Last year, almost 30 million shoppers spent more than $2.8 billion on Etsy, according to the website. Learn more about how to start making money on Etsy. Opening an Etsy shop is the easy part. It can be done in a few hours. Once you sell an item, payment is deposited into your Etsy Payments account. In your first 90 days as a seller: Funds are available three days after a sale. After your first 90 days, funds are available for deposit the next business day. You need to be at least 18 to sell on Etsy. You need to have all necessary rights to the merchandise sold in your shop. Turn your cat videos into cash videos. If your YouTube videos or blog posts draw a big audience, you may be able to make money from advertising. With Google AdSense, businesses pay to advertise around your content. The service is free, but there are requirements you must meet. Read more about making money with YouTube and Google AdSense. Signing up for Google AdSense is pretty easy, but it can take a few days to get approved. Allow at least two months for ad revenues to start trickling in. You need to earn at least $100 before you’re eligible for a payout. Once you hit the $100 threshold, earnings are disbursed on or around the 21st of the following month. It can take up to seven business days to receive a payment via direct deposit, and up to four weeks to receive payment via check. Your own website that has been active for at least six months. You need at least 10,000 channel views. Companies are using Instagram influencers — people with large, dedicated followings on the platform — to rep their products. You can get in on the action by applying for opportunities via a marketing platform like Instabrand or Famebit, or by contacting the brands you want to work with. Read more about what it takes to make money on Instagram. Creating an Instagram account is easy, but building a following takes time. Allow a few months to build a large enough following to attract advertisers. Once you have the numbers, you’ll need to find paid opportunities. You can do this via affiliate networks or by pitching brands you want to work with. The time to receive your payment will depend on the terms of your agreement, but affiliate networks typically pay out earnings the month after a campaign is completed. An Instagram account with a dedicated, engaged following. You’ll also need to meet the requirements of any affiliate network. Gaming can be a lucrative side gig once you build a steady following on Twitch, the go-to site for gamers. Broadcasters can receive donations from viewers and even get a share of subscription and ad revenue if they reach Affiliate or Partner status. Learn more about the different ways to make money on Twitch. You can launch a Twitch channel and start streaming in a day, but it will take weeks or even months to build a following. Donation revenue can be withdrawn rather quickly, depending on the payout method. Subscription and ad revenue earned as a Twitch Partner or Affiliate is paid out 45 days from the end of the month, and you must have a balance of at least $100 to request a payout. You need to hit certain viewership milestones to become a Twitch Affiliate or Partner and qualify for a share of game sales, ads and subscription revenue. The application process is typically quick, but then it’s in the company’s hands. They can take days, or even months, to access your application, depending on demand. Payout timing varies by company. BestMark, for example, sends checks twice a month and payment is typically received three to four weeks after the mystery shop is complete. Most mystery shopping services have an age requirement. You have to be at least 19 to shop for BestMark. Depending on the service, you may need reliable transportation and internet access. Need a gig for a few months? Try something seasonal, like being a lifeguard, doing snow removal or working at a retailer during the holidays. Employers typically staff up a month or two ahead of their busy season, so plan ahead to get on their payroll. Check storefront windows, Craigslist and local classifieds for seasonal opportunities. Allow time for interviews, which can take a few weeks. Companies start hiring for seasonal jobs a month or two in advance. Unlike other side gigs, seasonal jobs often operate on a traditional payroll system. That means it may take a month from your start date to earn your first full paycheck. But you can expect a regular paycheck, with payroll taxes already withheld, which is something other side gigs don’t offer. It depends on the specific job, which could include being a minimum age, having a driver’s license, etc. More than a month, in order to study, schedule and pass a written test. You also need to pass a background check and find clients. Payment will depend on your client. To do this legitimately, you’ll need a license that involves passing an aeronautical knowledge test. A background check is also needed. The internet is full of opportunities to make a quick buck online or from home, but many are questionable, if not outright scams. Be wary of any “opportunity” that asks for an upfront fee, wants you to pay for certification, or requests your Social Security number or any financial information, such as your credit card number.